It is possible to claim refund only from invoices issued by “professional fuel seller”, i.e. the seller has to send the data about customer purchases directly to the authorities in Spain. It is necessary to register the company and all the vehicles that fuel in Spain in Spanish Tax Authority, after that they will issue a customer number for the company. 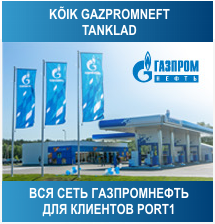 Customer number must be forwarded to the fuelling company, which cards are being used. Port 1 will help with the registration process in Spain. Refunding is possible only from the transactions that are made after receiving the customer number. Fuel card issuing company will forward all the transaction info itself directly to Spanish tax authorities. The plate number of the vehicle must be printed on the fuel card (only card number itself is not sufficient). Maximum refund quantity is 50 000 litres per one vehicle annually, no minimum quantity. Letter of authorization to Port 1 partner in Spain – letter of authorization must be notarised together with notary’s confirmation that signed party has all the rights to represent the given company, confirmed by apostille. Notary’s confirmation must be translated by a sworn translator into Spanish. Printout from the commercial registry – translated by a sworn translator into Spanish, confirmed by apostille. Annually, latest by 31st of March, information about the mileage of the registered vehicles as of 31st of December, must be submitted. If needed, Port 1 can organize the notarising of documents, translations and apostille confirmations. One time registration fee in Spain – 100 EUR. Notarising of documents, translations and apostille confirmations – depending on the length of the documents and translation office.